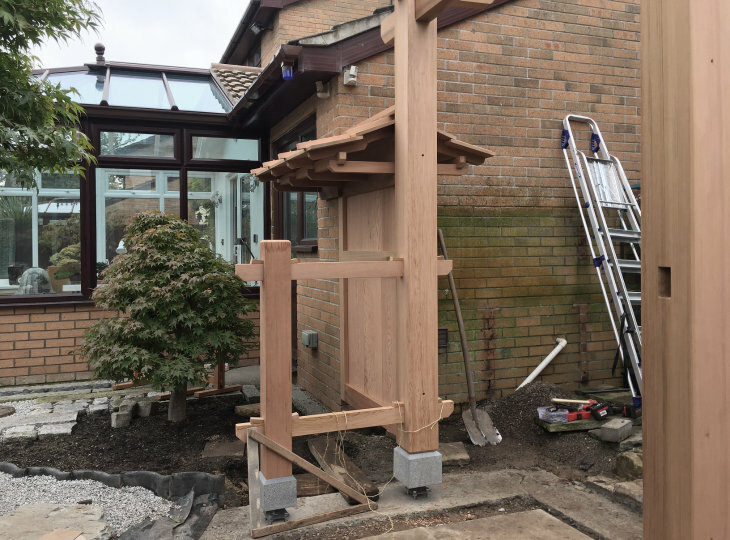 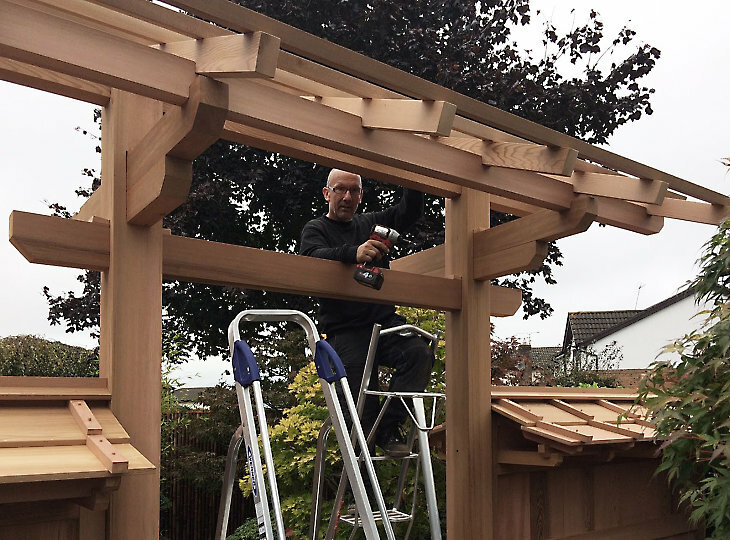 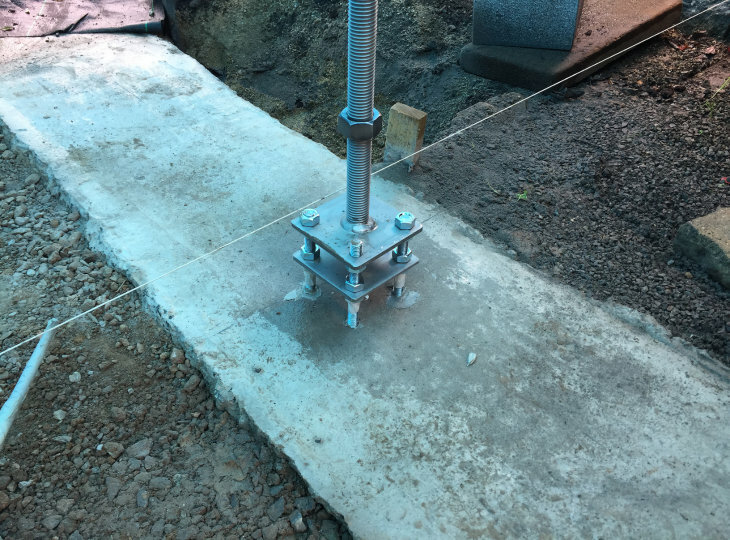 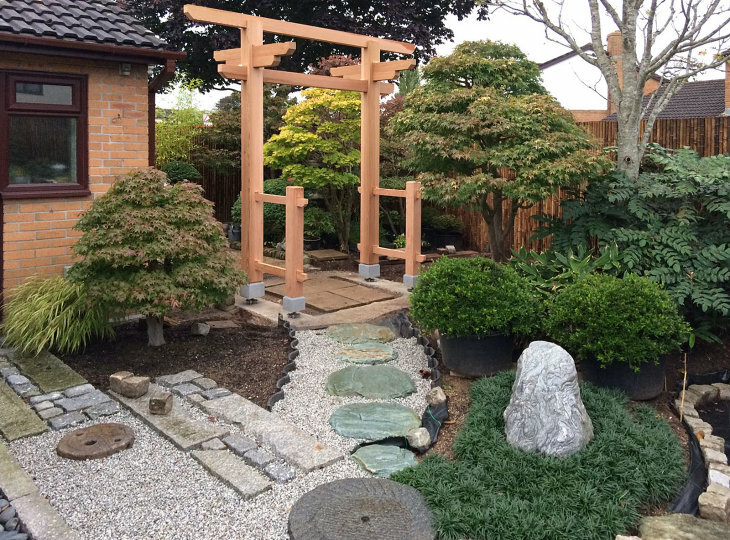 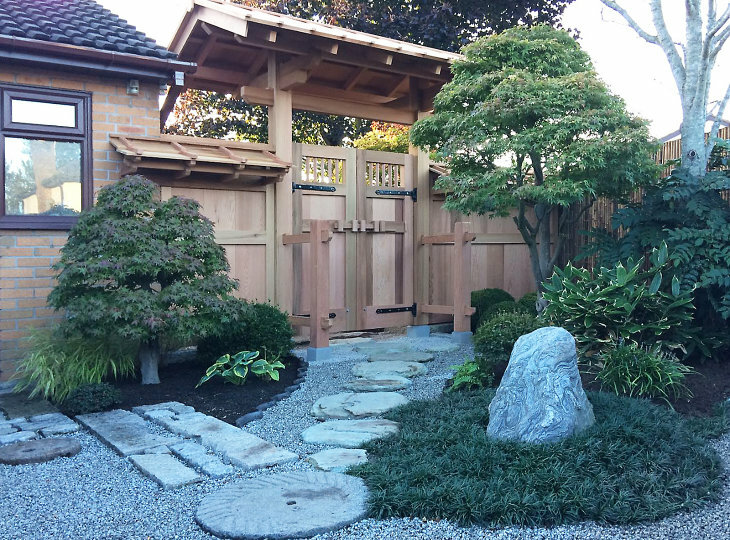 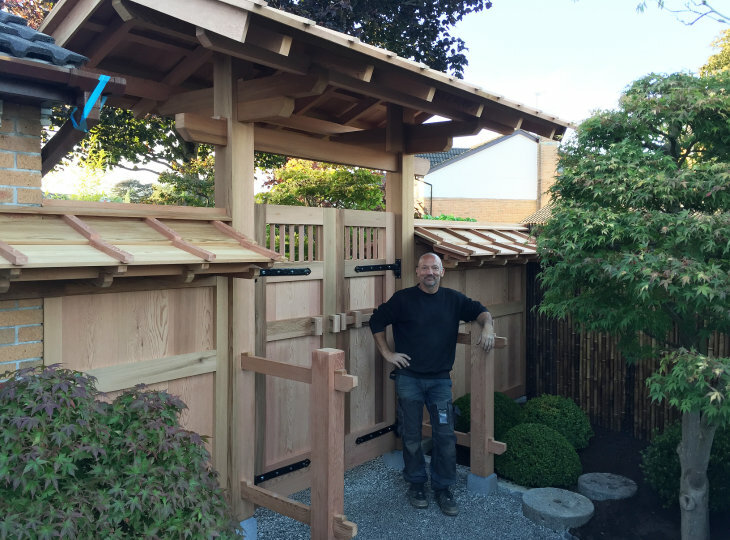 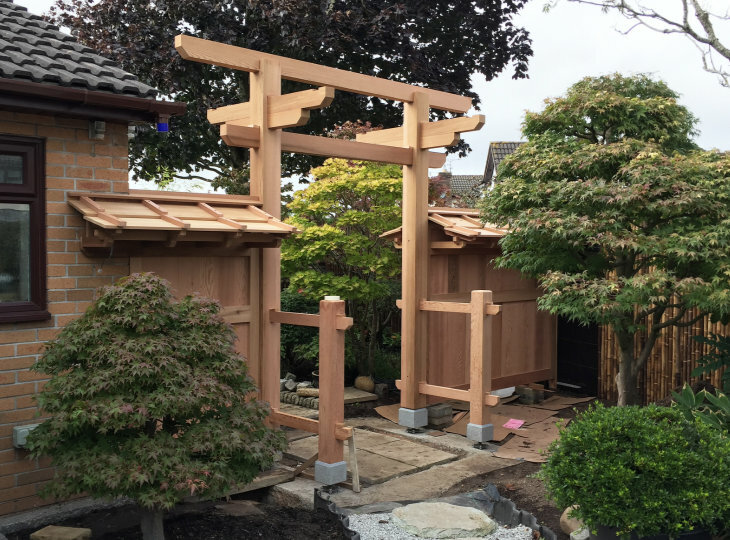 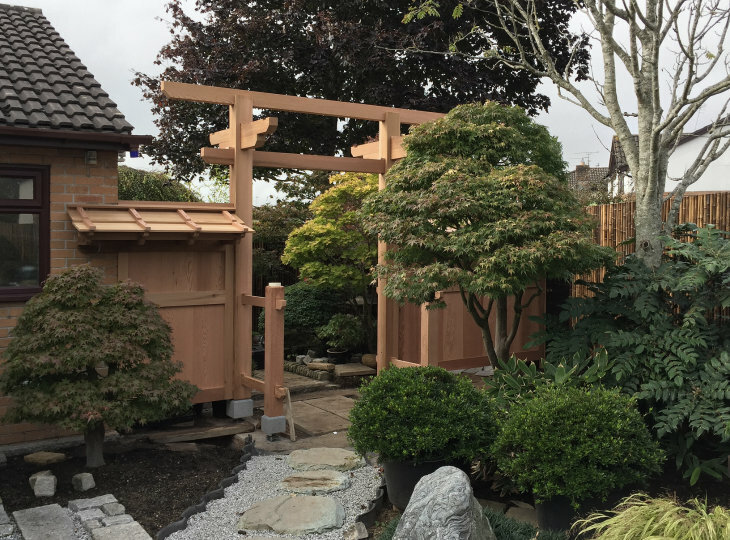 A very loyal customer in Cardiff, the United Kingdom where Yokoso has been allowed to work several times on the upgrade and maintenance of the beautiful Japanese garden, asked us for the design and construction of a typical Japanese garden gate. 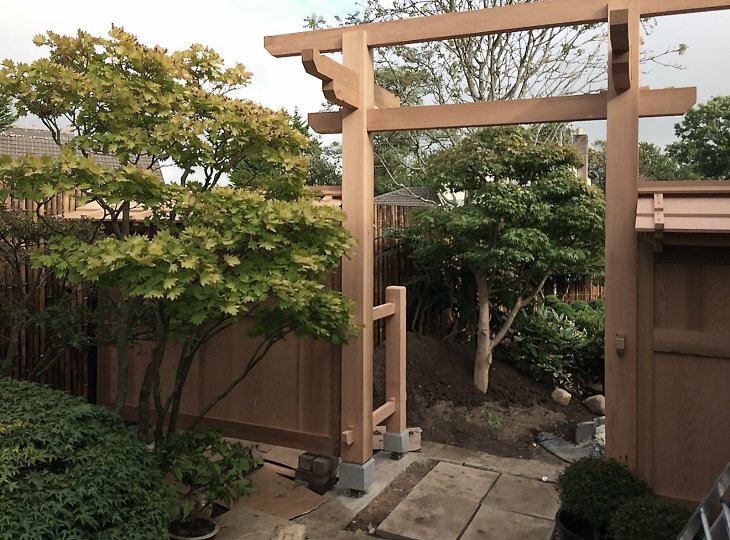 The garden gate would form the separation between the front and side garden and the back garden. 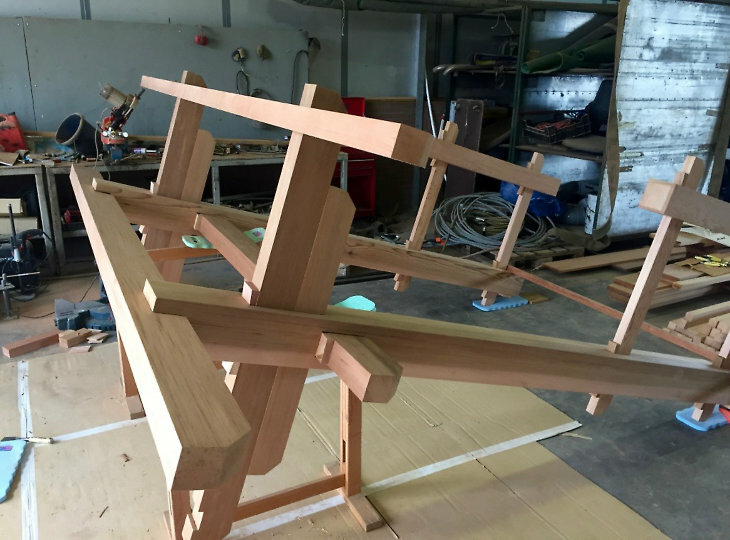 After the presentation of the design in 3D, the customer was immediately very enthusiastic. 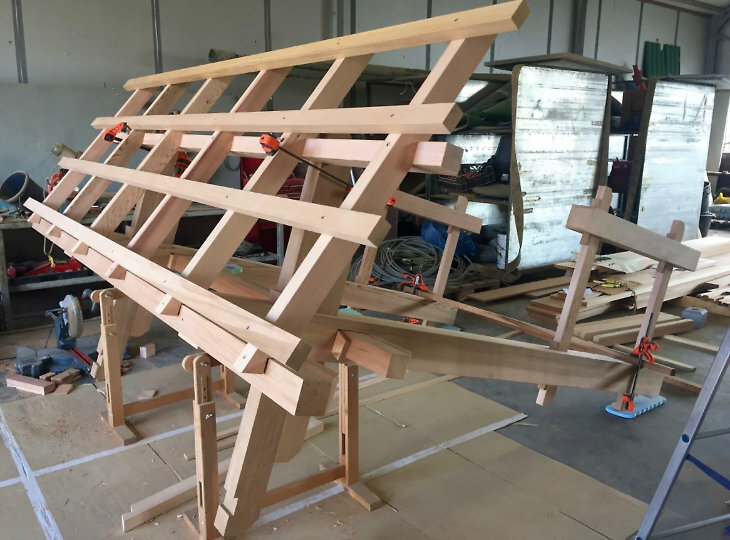 The customer then mapped out all sizes very precisely for us, on which production could be started in the Netherlands. 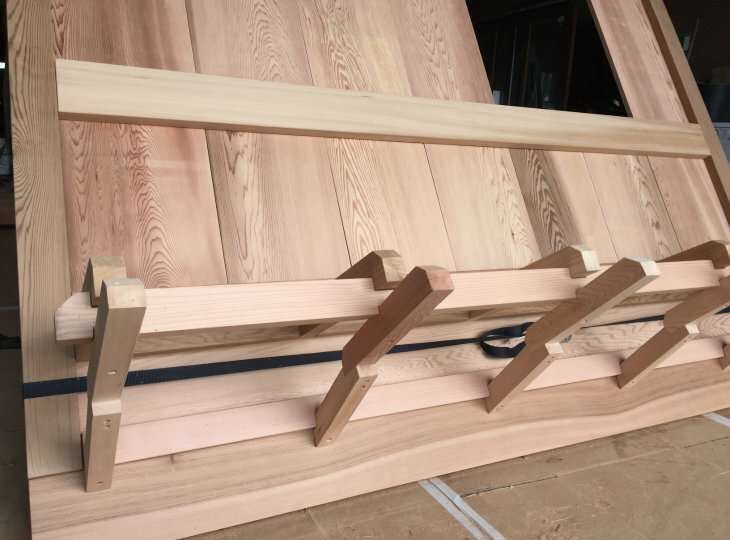 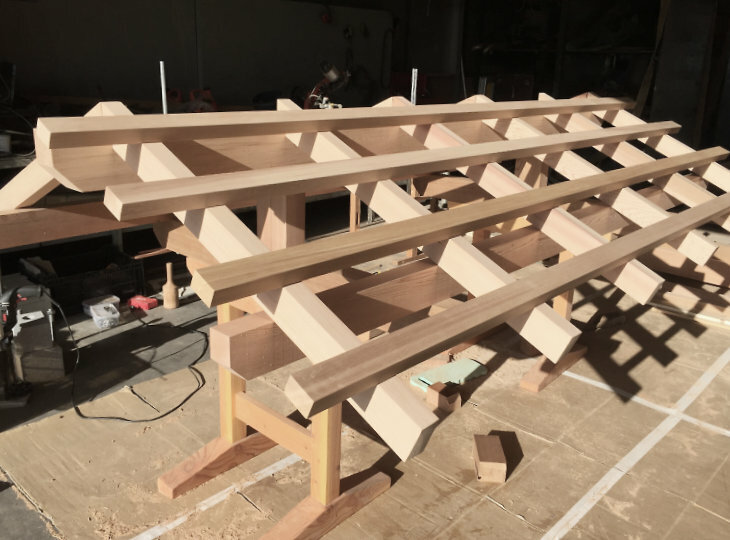 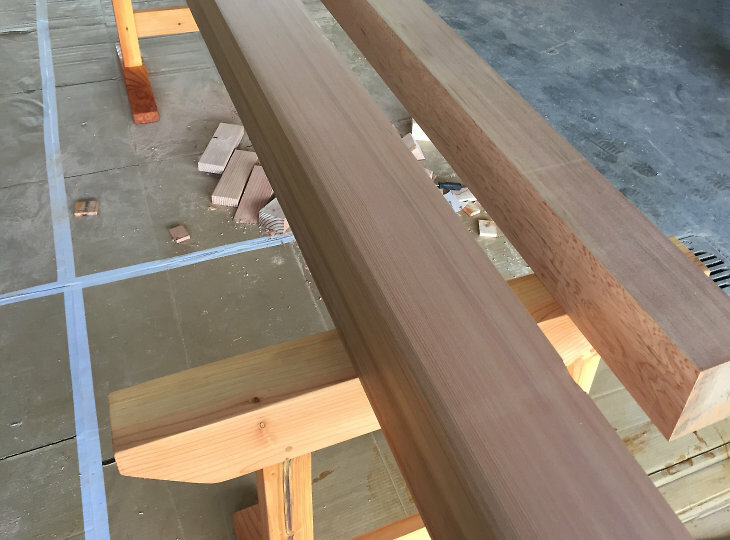 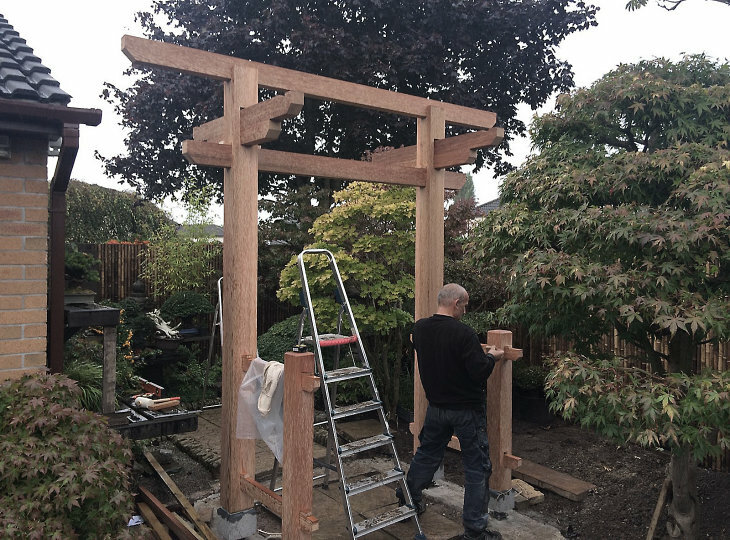 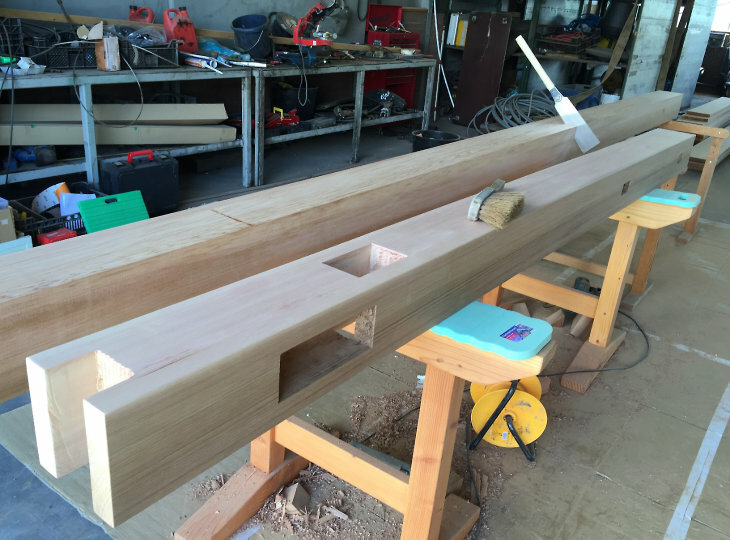 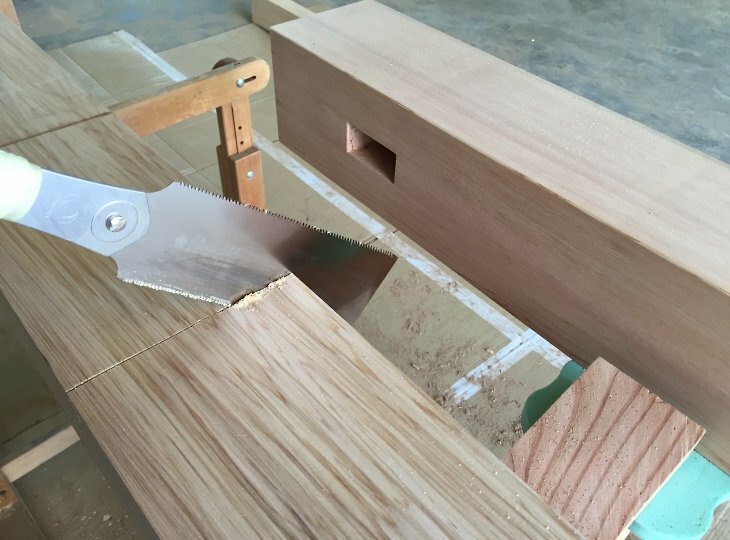 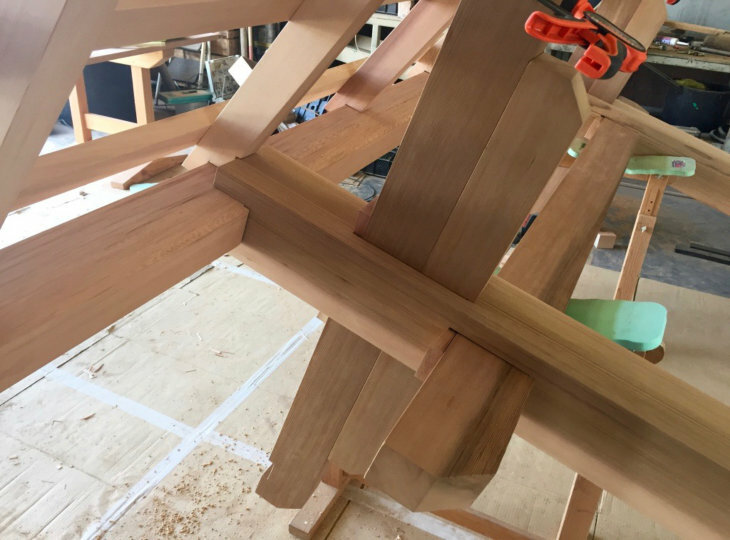 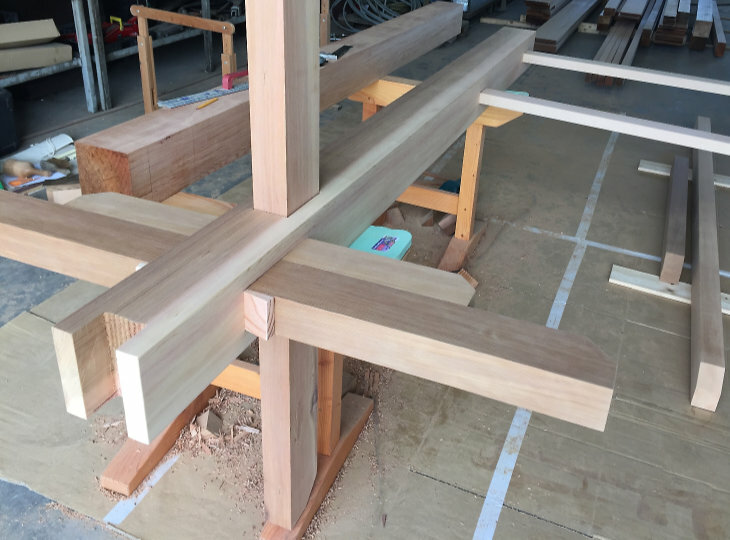 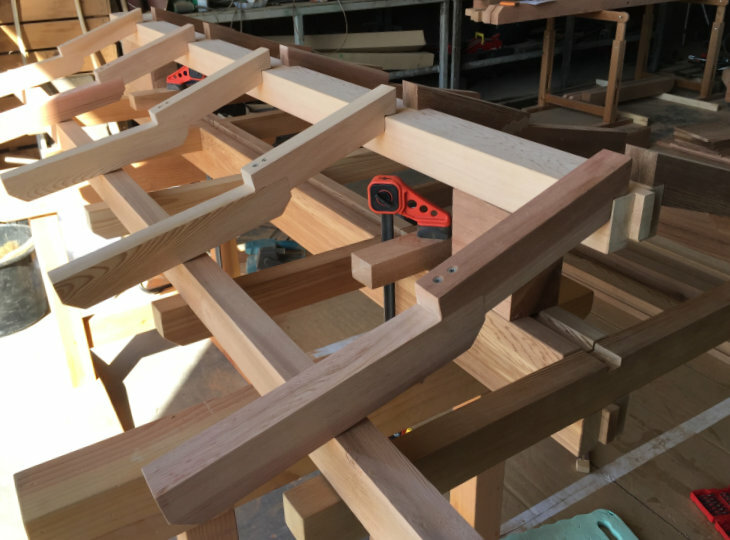 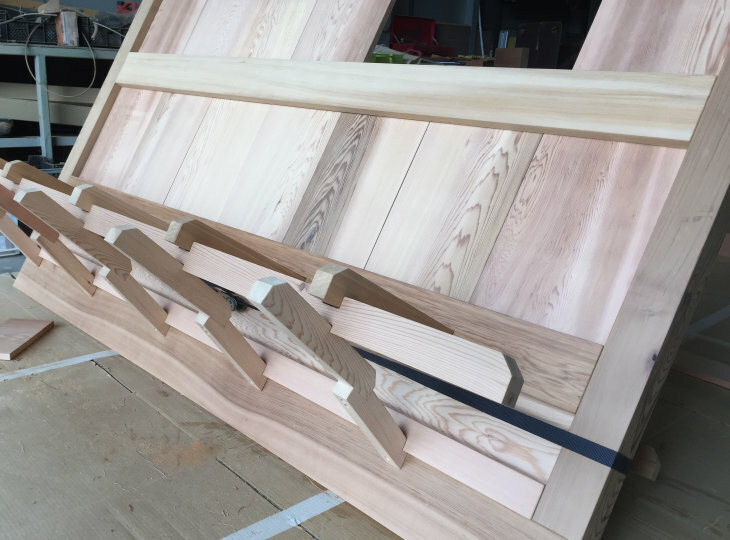 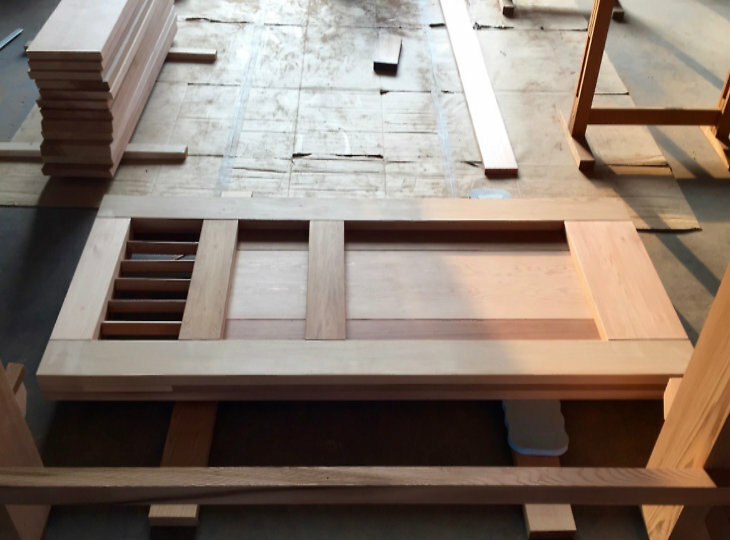 The complete Japanese garden gate is made by hand from Western Red Cedar in our workshop in the Netherlands, using traditional Japanese tools such as chisels and saws. 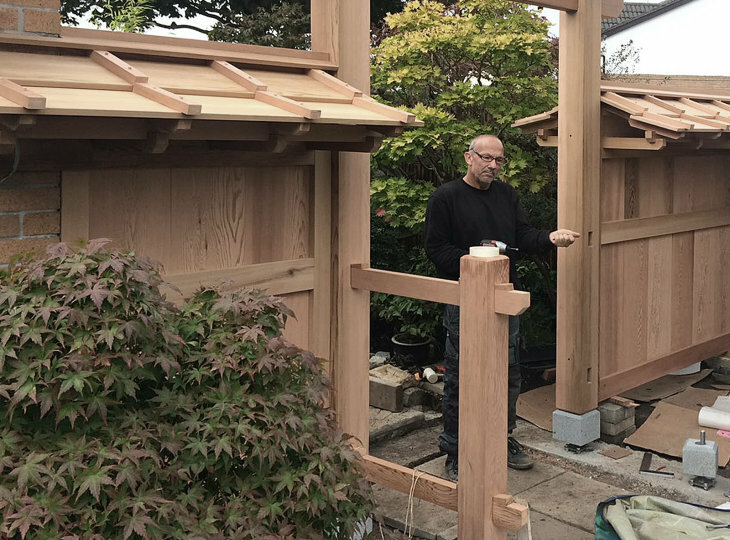 Where possible special Japanese joints have been used while the invisible connections have been carried out in a modern way. 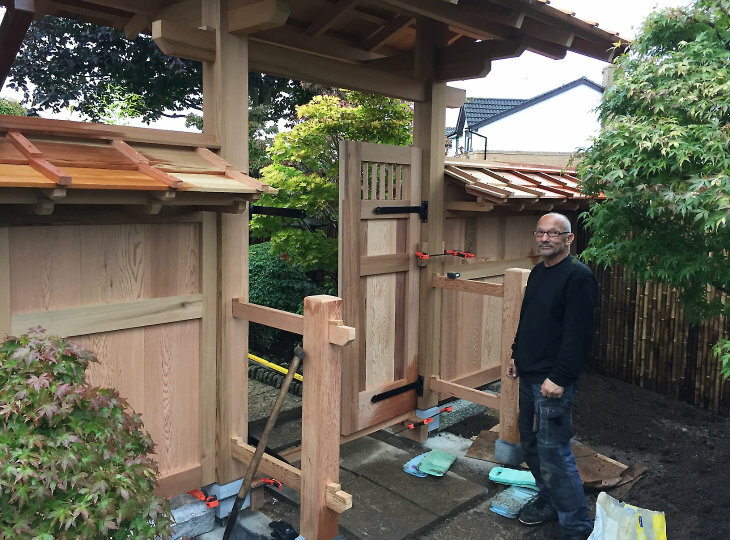 To give an idea, the total gate plus the side screens has taken 160 man hours in total. 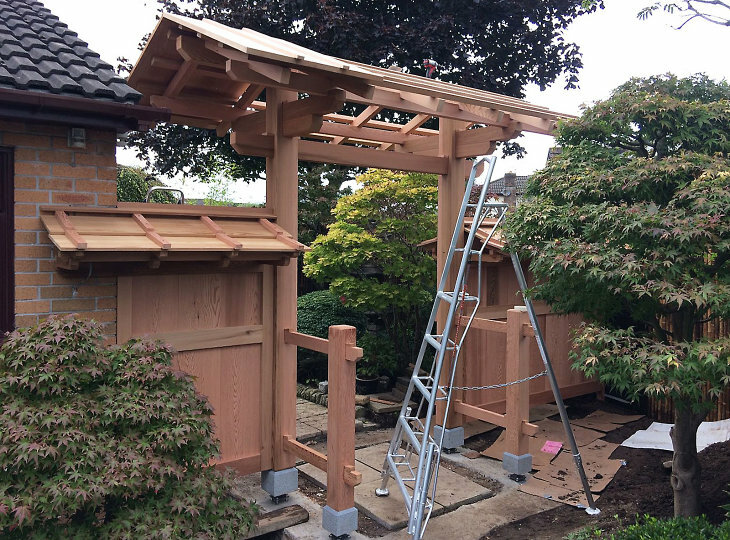 The construction and assembly with the exception of the foundation, however, was finished in a day and a half. 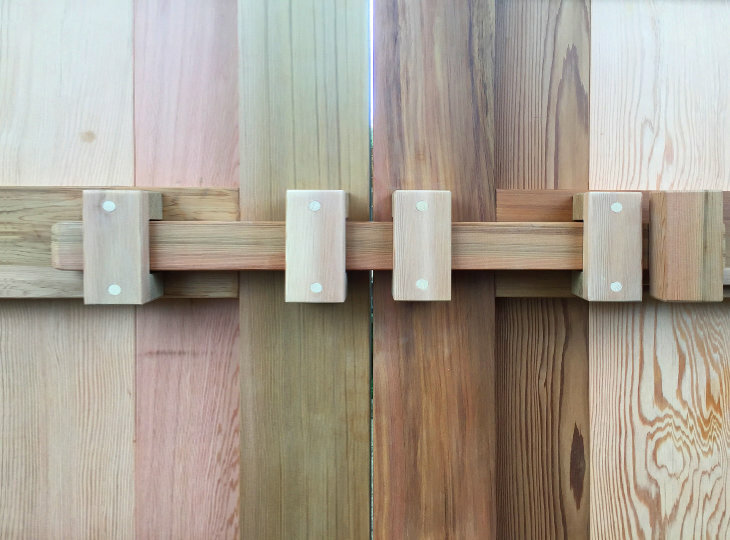 This Japanese gate is executed in Western Red Cedar. 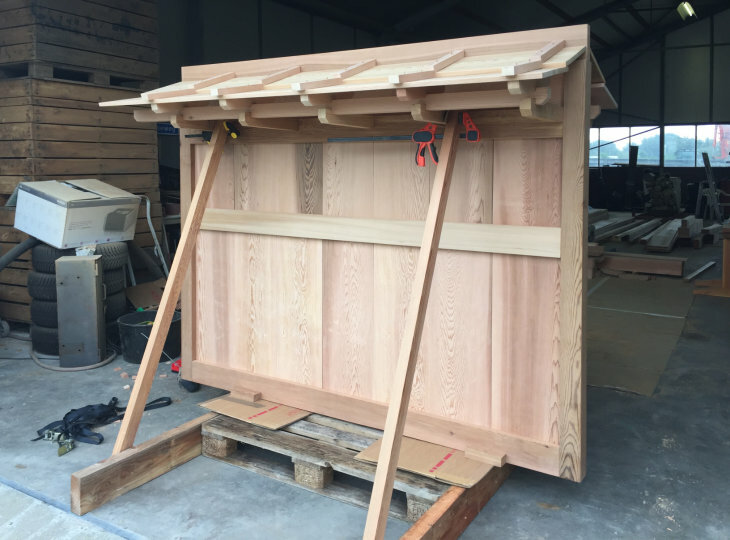 The roof consists of thick boards mounted in the so-called 'board and batten' method. 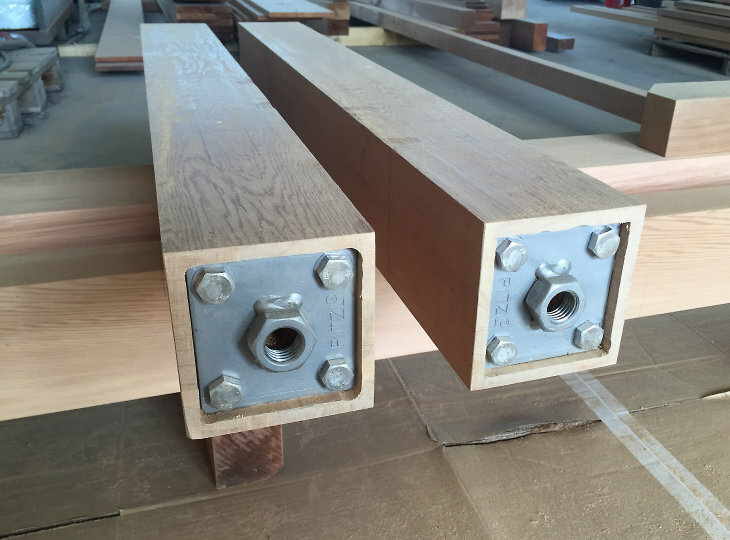 This type of wood is a very durable but expensive. 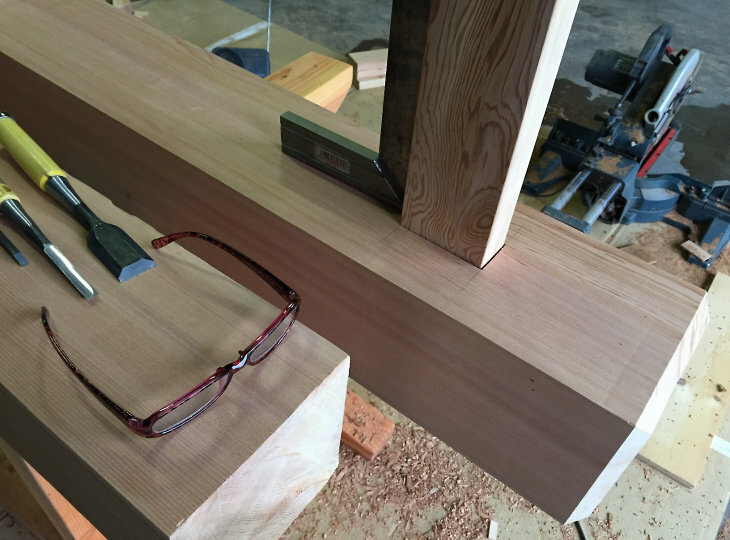 The wood is also aging beautifully. 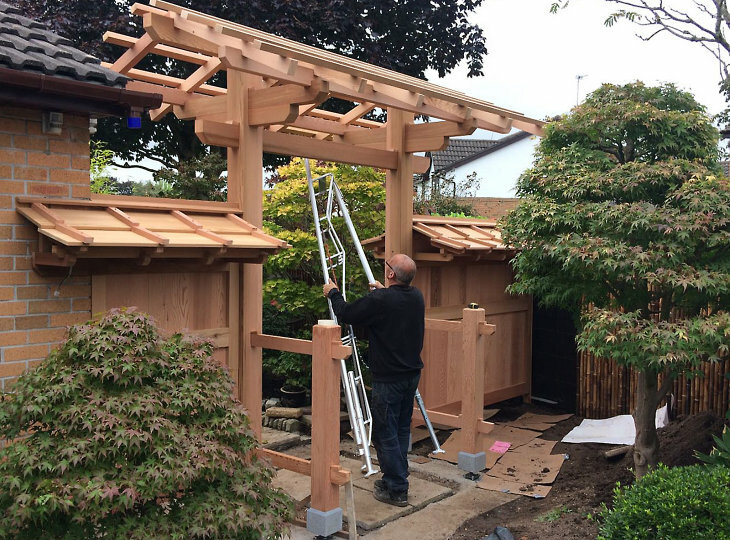 It goes without saying that a project like this can also be executed in a different kind of wood and optionally provided with traditional ceramic Japanese roof tiles. 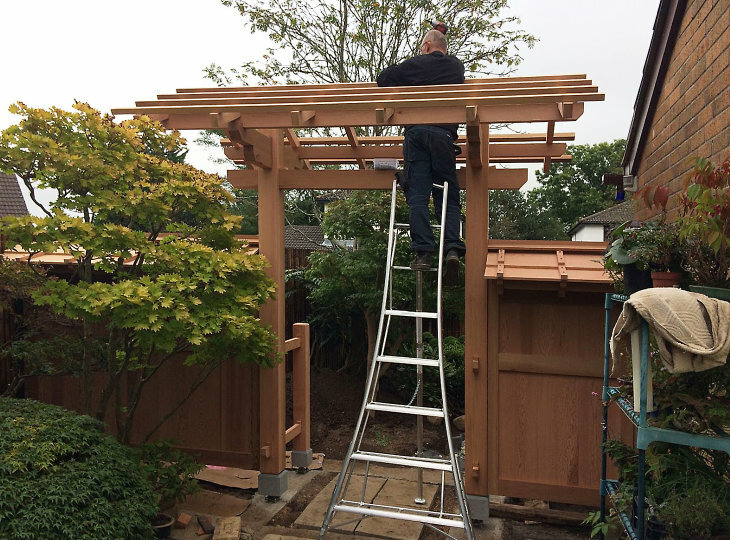 Ultimately we respect the wishes of the customer and the customer is our king.